In light of the fundamental challenges and opportunities that libraries face, and the transformations that are taking place, we’re looking again at the library support services we provide to make sure these remain valuable for our members. And as we develop our library support services, we know we can do more to make them easier to use, to ensure they integrate more smoothly with other library systems and to enable users to get the most out of them. In 2015, to address these issues, we commissioned a review of our library support services, conducted for us by education and digital technology consultancy Sero HE and research consultancy Ithaka S+R. The review included an extensive consultation process agreed with RLUK and SCONUL. It involved a library systems survey attracting 80 institutional responses followed by five themed workshops attended by 100 practitioners from a wide range of academic libraries. The review also explored the competitive landscape in which Jisc’s services were operating. Based on this wide-ranging research the report found that strategic stakeholders and customers strongly endorse the role of Jisc in supporting the work of university libraries and it went on to make a number of recommendations both for the future development of the services and for ways in which Jisc could add value to the sector more generally. These have been endorsed by RLUK and SCONUL. Throughout this transformation programme, we are engaging with library professionals to gain their insight and feedback. We work with an Advisory Group and we’ll be actively seeking ongoing dialogue with individual institutions as well as with RLUK, SCONUL and UKSG. 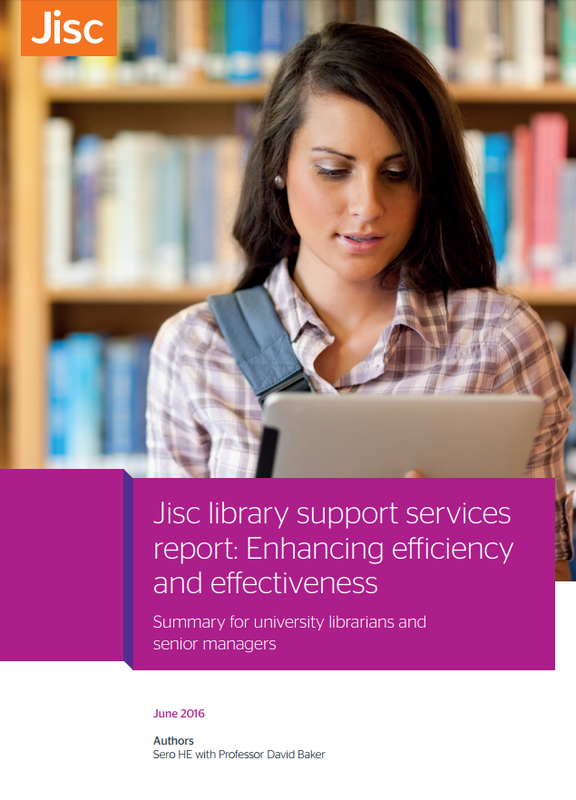 You can read a summary of the 2015 review report Jisc library support services: enhancing efficiency and effectiveness, which includes a number of appendices and Jisc’s response to the report. For more information on each of our Library Support Services, see the Library Support page on the Jisc website. Any questions regarding this programme of work can be emailed to the Programme Manager Siobhán Burke.